The monthly club shoot is held on the third Friday (evening) of each month from April to September. We shoot a Warwick round at distances to suit the ability of those taking part. Targets are arranged to encourage people to mix during the shoot. To meet this criteria, the distances are ordered to ensure that no-one shooting any of the Warwick rounds can change distance just by moving to the next target. 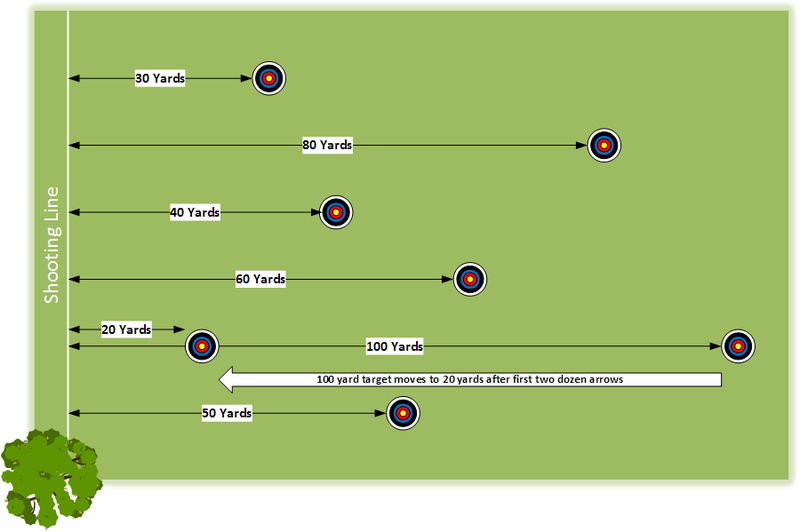 The field layout is shown in the diagram below. *There is a handicap system applied to your score which rewards diversity and imposes a small penalty for shooting the same round each time! Determine archer’s handicap on their 1st appearance in the event. On subsequent visits, handicap is reduced by 1 each time the round shot is the same as one shot previously, handicap is increased by 2 each time a new round is shot. The changes are cumulative and are used to apply ‘allowance for round’ adjustment to the score. After the last shoot of the year, the winner is determined by calculating the average handicap achieved over the season, calculated on this basis. 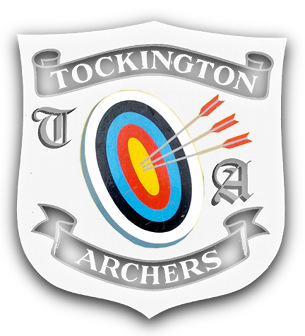 Where 2 or more archers have the same resultant score, the greater number of rounds shot, wins; if this is still a draw, then the greatest change in applicable handicap wins.